– The wonderful sustainable attributes that using bamboo has. – There are up to 2000 different species of bamboo, not all of them are suitable for construction. – Bamboo can be treated so insects don’t eat it and therefore giving it a long usable lifespan. – There are many different ways that it can be treated. – We learnt some principles of construction techniques. – We learnt that there are many examples of very beautiful ways in which bamboo has been used for construction. There was much more as well! Our research to see whether it is suitable to use in our school will continue. 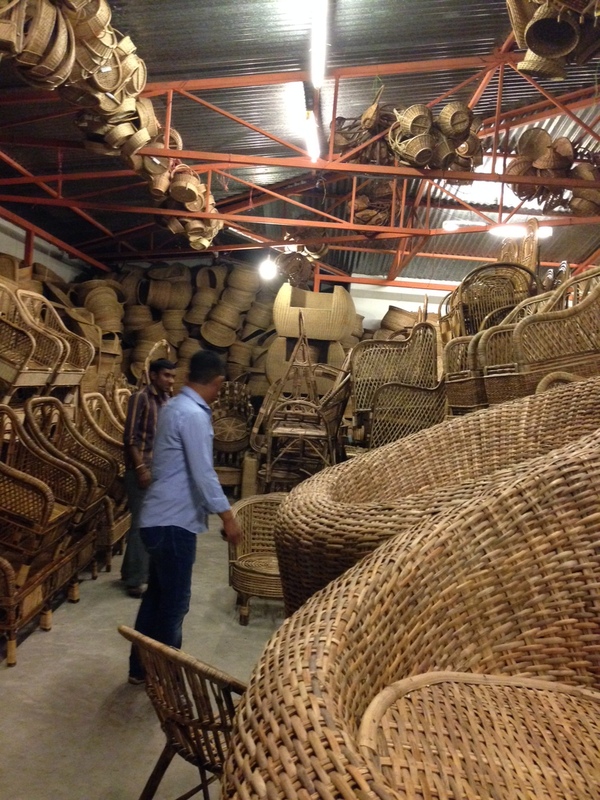 Research into the local use of bamboo begins with a visit to a nearby bamboo furniture shop. 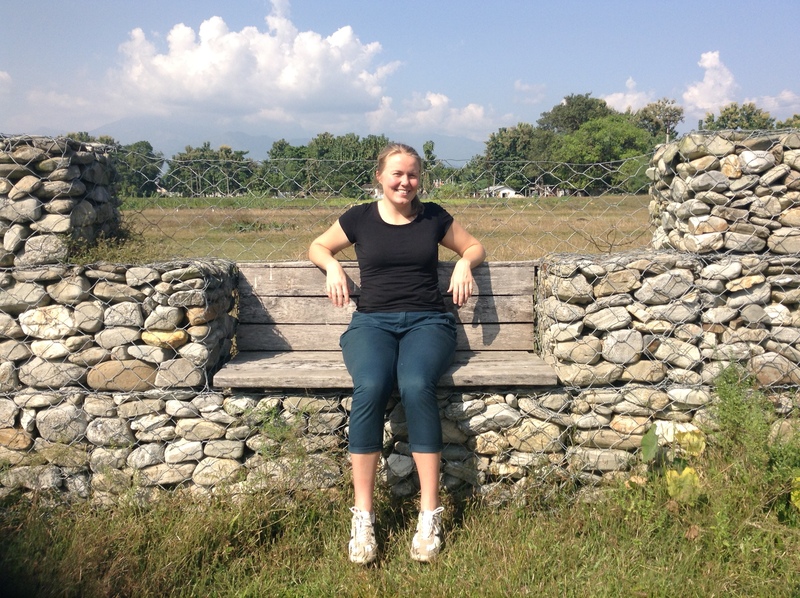 We would like to welcome Inari our now resident architect and bamboo expert who has just joined us in Siliguri. 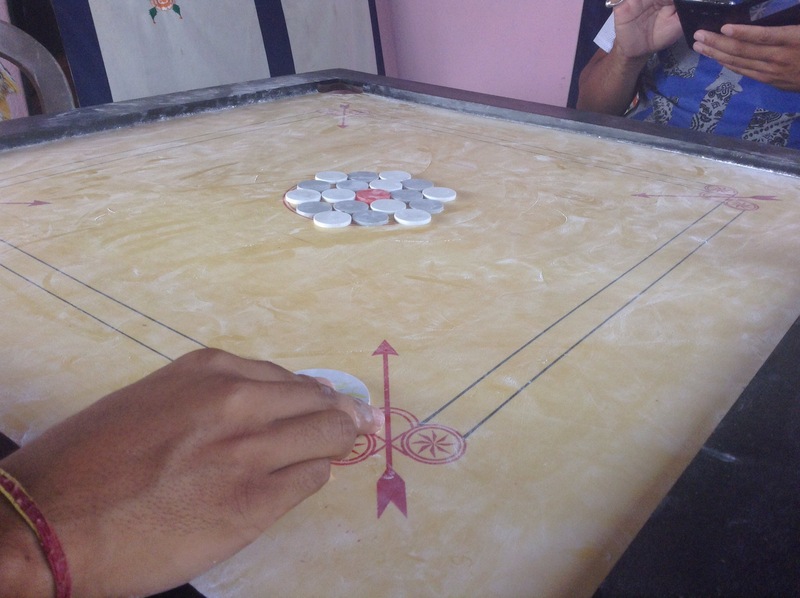 It’s Sunday so we played some carrom.